Flowers are by far the most integral embellishment of a wedding decor. Weddings all over the globe readily prefer a wallow of colors to celebrate the day of love. Did you know that while roses symbolize love, tulips stand for passion, magnolia means love of nature and stephanotis signifies marital happiness? Well every wedding flower has a chosen significance ever since the Victorian era. Flowers have been the core of love over the years. "The Language of Flowers "as it was called created a romantic language for lovers'. The language emphasized on the communication in which flowers are replaced words. Therefore it is said that the trend of flowers is centuries old. If you're looking to reconstruct your own unforgettable wedding occasion without acquiring a new-age florist's bill, here's what you can do. Firstly choose the theme and color of your wedding, as it will define the decor. The flowers may be chosen in accordance with your theme. If you have chosen a Renaissance theme, you have to stick to beige, white and yellow. 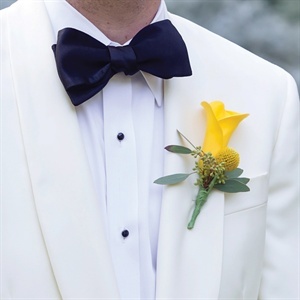 Thus yellow Calla lilies becoming a must in your wedding. If you want to give your wedding a stylish yet customary effect, then remember to go for the very essential purple and white carnations alongside with some mini calla lilies and roses. But since roses can cost, you are free to consider the alternative blossoms that may look just as stunning as roses or other inexpensive flowers. If you absolutely love roses, you can prefer to choose cheap yet gorgeous flowers that resemble roses. Ranunculus resemble roses as they have many layers of closely filled petals. They come in white, crimson, light lavender and shocking pink. 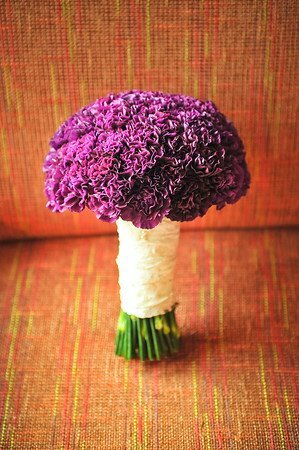 Carnations and hydrangeas are also great budget options. While some brides prefer simple inexpensive flowers, others may desire wild colors and experimental decor, not minding the bill. What's better than availing all those options under one roof? A one stop shopping solution is exactly what you need. Find a supplier who offers you a never-ending collection to choose from. Right from Calla Lilies to maybe even preserved and tinted flowers for the bold and experimental decor, the perfect florist will have it all. Some of these suppliers may even provide you with artificial foliage to choose from. You could use some fake flowers wherever necessary, like the flower vase decor, during the reception ceremony. You can even avail your wedding flower packages within the comfort of your own home. There are innumerable online florists who can provide you with the widest range of choice. You have to ensure that you choose a reputed supplier who provides the best prices and have stocks. Furthermore, remember to compare and choose from various florists by reading client testimonials and reviews. Once you do your part of the research, be sure that you will end up finding the best floral package.